Plus, big issues are multiplying for the 2019 Oregon Legislature and homelessness, housing top political agendas. 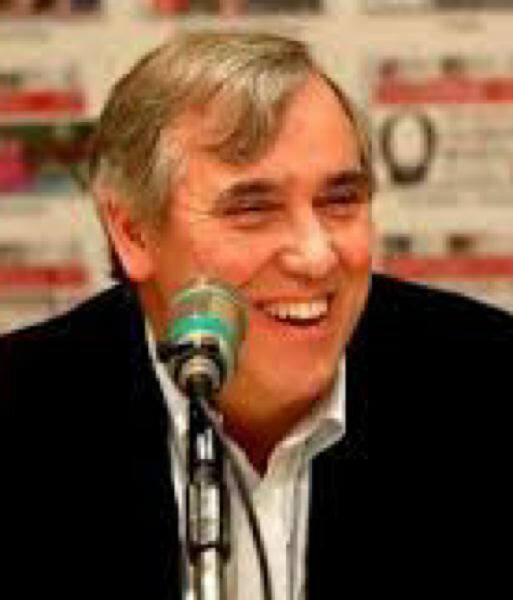 Jeff Merkley can run for president without giving up his Oregon U.S. Senate seat in 2020 — if he is willing to make other Democrats interested in the seat wait until the filing deadline to decide whether they are going to run for it. Merkley repeatedly has expressed interest in running for president, but is up for re-election in 2020. State election law prevents anyone from running for more than one "lucrative office" at a time, making it appear that he would have to choose which one to run for. But, as Oregon Public Broadcasting first reported, at least 13 states are set to hold a primary or caucus before Oregon's March 10, 2020, filing deadline. They include the crucial first-in-the-nation contests in Iowa and New Hampshire. That means Merkley could run for president in those states, and then pull out of that campaign and file for re-election to his Senate seat if he isn't doing very well. But that also means every other Democrat interested in the U.S. Senate has to wait until Merkley makes up his mind or risk running against him for U.S. Senate in 2020 — including those, like Merkley, who also are up for re-election in 2020. Don't look now, but the number of pressing issues facing the 2019 Oregon Legislature is piling up. When she spoke before the Columbia Corridor Association on Dec. 7, Oregon House Speaker Tina Kotek, D-Portland, said she, state Senate President Peter Courtney and Oregon Gov. Kate Brown had agreed there would be only four priority issues — school financing, Medicaid funding, fighting climate change and increasing affordable housing. Her housing agenda includes statewide rent control and abolishing single-family zoning, however. Other big issues are surfacing, too. Business leaders continue to insist that the Public Employees Retirement System premium increases must be reduced for them to support any tax increases. Oregon and Washington legislators need to show progress on replacing the I-5 bridge by September or repay the federal government $140 million in U.S. highway funds spent to plan the failed Columbia River Crossing project. A new report commissioned by the Legislature says the state's public defender program is unconstitutionally underfunded. And some lawmakers want to abolish the death penalty. And those are only some of the issues being reported on. Others are undoubtedly emerging behind the scenes. Not surprisingly, the closely related issues of homelessness and affordable housing dominated Mayor Ted Wheeler's year-end news conference last Friday. Adam Davis, a founding principal in the independent DHM Research firm, says the issues have surged to the top of the list of public concerns in all of the company's surveys in recent years. Wheeler insisted that Portland and Multnomah County are on track to solve the problems, but called for more state and federal help.